Happy Birthday to Syndicate Beijing and Heavy HongKong!!!! Jake Newby over at Time Out Shanghai interviewed Rob Smith for their March issue (which has just come out so go grab a copy). Due to limited space, there are only extracts of the interview in the magazine, but here we have the interview in full. Big up to Jake and Time Out for all their support! Jake: How did you first get into music? Was there a particular moment or record that you remember as being particularly influential in making you want to get involved in music? Rob: There isn’t one particular record, but as a kid I was fascinated by the dub versions on the b sides of 7” reggae singles. I really wanted to be able to make those sounds! Jake: What made you want to make the switch from playing guitar in Restriction to forming Three Stripe? Rob: Through the experiences of making demos for the band, and mixing them on simple 4 track recorders, I became more interested in mixing & production.At that time, Three Stripe was a soundsystem. When I joined, Ray Mighty and I built a studio and started the label. Jake: How did Smith & Mighty come about? Rob: I met Ray when I was invited to join a band called ’Sweat’. Ray and I found that we had a similar interest in sequencing and linking beat machines together. After the band split up, Ray and I continued as Smith & Mighty. Jake: Was there a sense for you of being part of a movement or of something really big happening in Bristol when you started out? Why do you think such a movement emerged in the city at that time? Rob: To be honest, we were very unaware that there was such a focus forming from the outside world towards Bristol sounds. The city has always had a strong reggae background but also punk, soul and hip hop were big influences at that time. We weren’t afraid to mix up sounds and flavours and unlike the scene in London, we didn’t have the same kind of pressure to compete.. So I think Bristol had its own pace which allowed time for sounds to ’brew’. 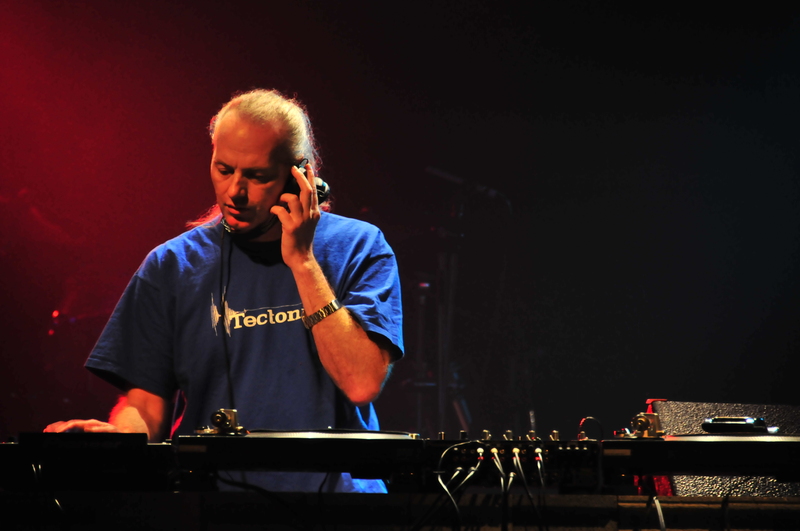 Jake: How do your roots in the Bristol scene influence your current sound and productions? Rob: I’m just a dub head! I like to make dub related music. 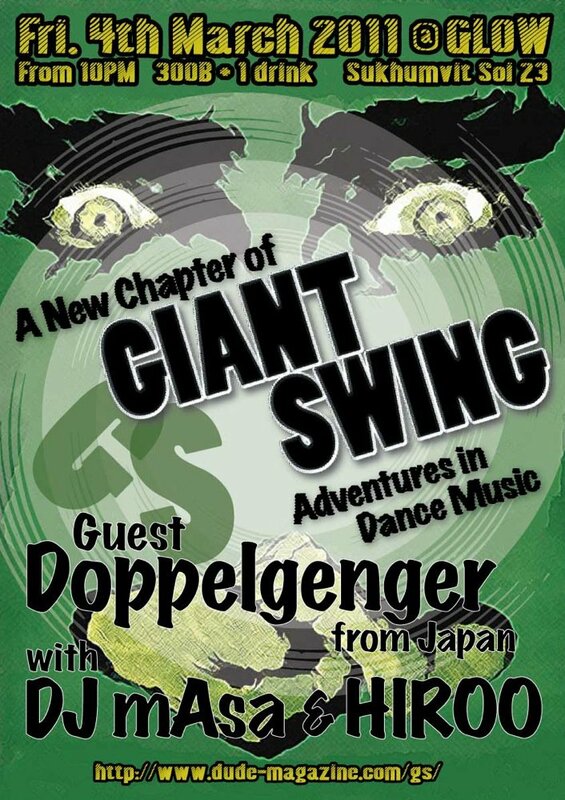 Jake: How does your dubstep project RSD differ from your previous work? Rob: For me its an obvious continuation.. It feels kinda similar to what I’ve always done in respect of production and treatments. Jake: What are you currently working on? Rob: Ive just made some remixes, one for Emika which I’m very happy about. I have an album coming soon for release in Japan called ‘Go in a good way’ and I’m currently working with some new singers for the next project. Jake: What do you make of the current Bristol music scene? Whose music really excites you at the moment? Rob: Ha.. Too many!! Pinch, Pev, Guido, Wascal, Mensah, Kahn, Gorgan Sound, Central Spillz, Joker, Dubkasm, Phaeleh, Jakes..
Jake: What can people expect from your show in Shanghai this time round? Rob: Some new stuff from my self and new things from artists I respect plus classic Dub & beats. Jake: Are there any classic/favourite records that you’re guaranteed to drop in your sets? If so, what and why? Rob: I usually like to drop ‘Murderation’ at some point because it’s a good example of what I’m interested in, classic reggae sounds with beats and dub attitude. I like to drop a bit of Jungle in there somewhere as well. Jake: Anything else you’d like to add? Rob: Its not really music related but..
My friend told me recently that worrying is like praying for something you don’t want. and someone else told me..
Focus on what you want and not on what you don’t want, and give thanks for everything you have. 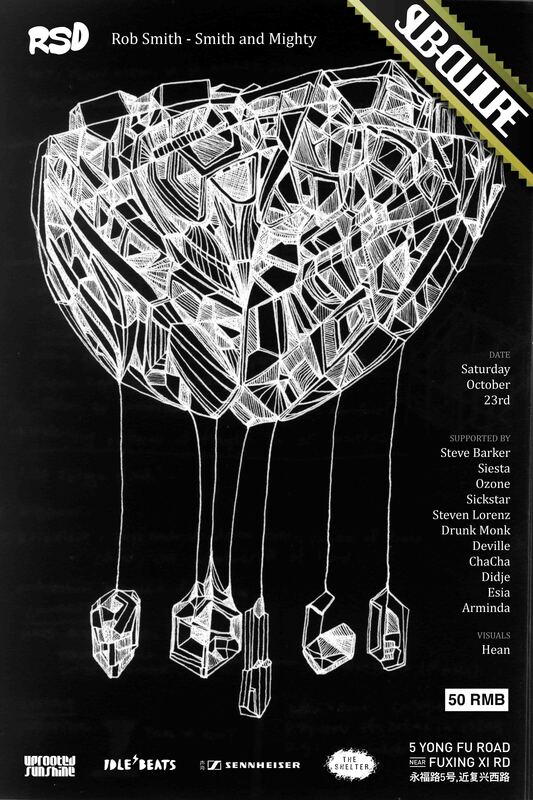 Catch RSD, along side Red-I and Soul Flower, this Saturday @ The Shelter, Shanghai! 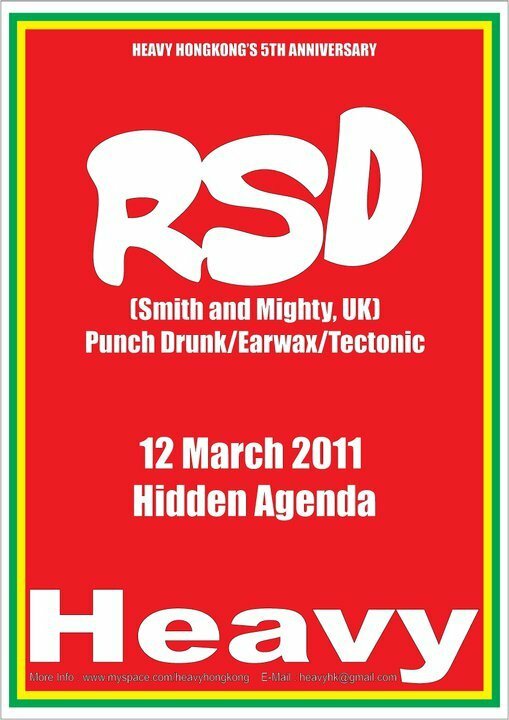 RSD aka Rob Smith – Smith and Mighty – This Saturday!! We’re pretty bad a keeping secrets so some of you already know this, and some of you will have guessed, but joining our guests Red-I and Soul Flower this Saturday at Shelter is the one and only RSD – aka Rob Smith from the legendary Smith and Mighty/More Rockers! RSD, perhaps better known as Bristol bass and drum music stalwart Rob Smith (one half of respected production duo Smith and Mighty), has been pushing bass heavy rhythms for more than two decades. Under the moniker RSD, Rob Smith produces fresh, innovative bass music that simultaneously pays dues to his deep soundsystem roots while pushing things ever forward. 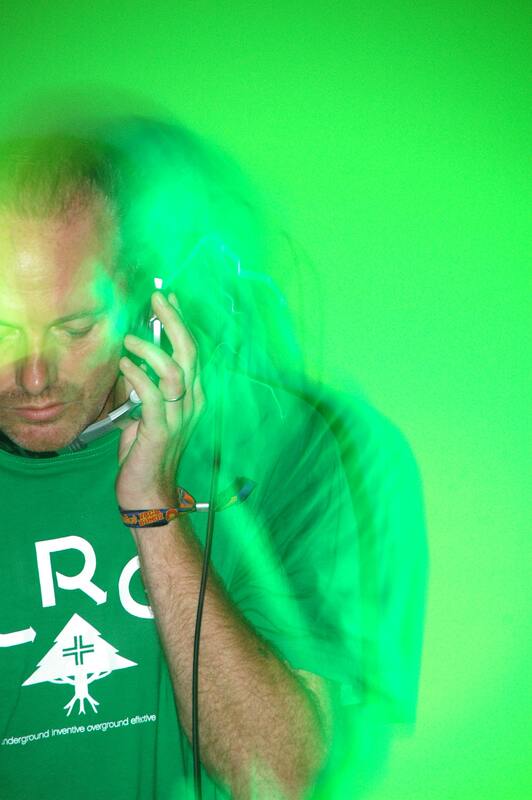 He remains firmly at the forefront of Bristol’s endlessly inventive music scene. With a staggering discography and a range of projects encompassing dub, drum and bass, 2-step and dubstep, Rob Smith has has his finger squarely on the bass-pulse. From his musical beginnings playing guitar in local roots reggae band Restriction, Rob’s music has always had a strong dub aesthetic. 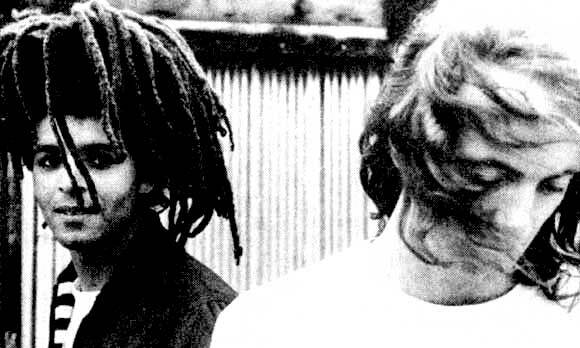 Forming the, now legendary, production duo Smith and Mighty with collaborator Ray Mighty in 1987, the pair’s early releases on the Three Stripe label were influential in laying the groundwork for both the trip hop and jungle scenes for which Bristol would become renowned. As well as their own releases, they take production credit for Massive Attacks first release ’Any Love’ and Fresh Fours top ten hit ’Wishing on a star’. A period of chart success and major label involvement in the early nineties was followed by a return to their underground roots for Smith and Mighty. During this time they worked with Peter D. Rose to release groundbreaking music on their More Rockers imprint. Rob Smith also went on to collaborate with local roots reggae producers Henry & Louis. This fruitful relationship culminated in 2001 with the release of the fantastic ‘Time Will Tell’ LP. Smith and Mighty’s addictive 2002 jump-up vocal cut “B-line fi blow” featuring Niji 40 may still be firmly lodged in many listeners’ brains. Rob Smith has found a new home as RSD, comfortably adapting to the rolling, sub- heavy rhythms of dubstep. With releases on respected labels including Punch Drunk, Earwax and Tectonic, RSD’s sound is typified by impossibly heavy soundsystem-testing sub-lines and junglist dub breaks. The irresistible energy of tunes such as 2007’s infectious breaky roller “Pretty Bright Lights”, 2008’s bubbling summer-vibed “Speakerbox”, the dread-fuelled stepper “Jahway”, 2009’s “Good Energy” and 2010’s “Naked Mariokart” has rapidly cemented them as anthems. This Saturday @ The Shelter – Sub-Culture present: Red-I and Soul Flower (Dubplate, Manila) + special guest RSD (Rob Smith – Smith and Mighty) – Don’t miss!!!! To round off the Uprooted 5 Year Anniversary, we put together a whole weekend of events at The Shelter, Shanghai. The Friday was headlined by Clive Chin and Twice, with SigBinHaus Soundsystem from Philippines in support, and the Saturday Sub-Culture brought over the one and only RSD aka Rob Smith from Smith and Mighty. Both events were dope, and RSD played an amazing set of heavy, reggae influenced Dubstep. Keep your eye out for a return visit from Rob in the coming months! 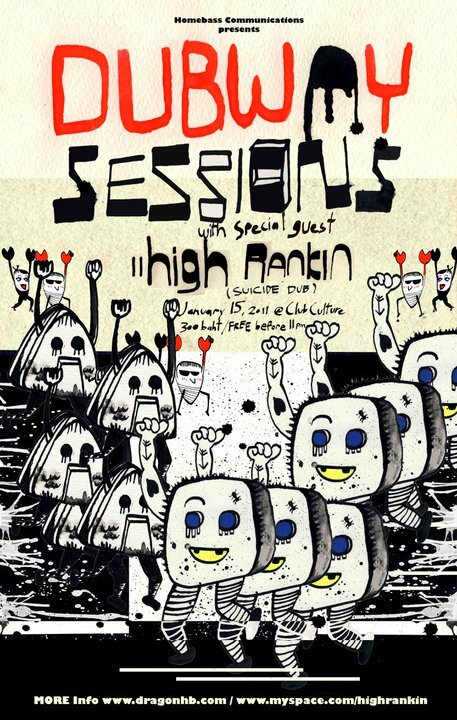 Also, check out the killer poster designed by long time Sub-Culture collaberator Chris Tomoya!